Fully updated, TOP FLOOR, North-West facing 1 Bedroom & Den located in the Villa Franciscan, built by BOSA. Featuring a fully enclosed Balcony that can be easily used as a Second Bedroom, & with a large living area with separated dining this unit has no wasted space. 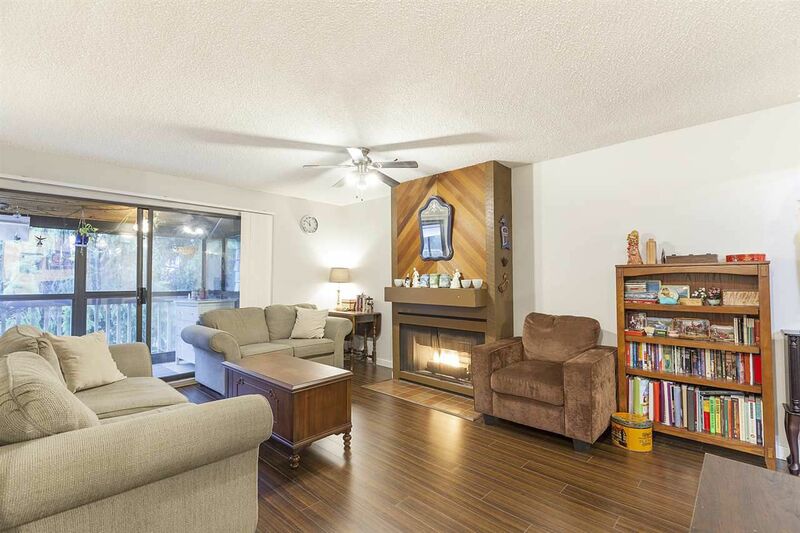 Spend your evenings in enjoying the cozy gas fireplace, or enjoy the many amenities within walking distance such as: Moody Park, Royal City Mall, Mercer Stadium, Transit, Banks, Shopping, Restaurants & so much more. Heat, Hot Water and Gas are covered in maintenance fee (minimal Hydro bill) There is shared laundry on each floor. 2 cats allowed. 1 Parking & 1 Storage. Updated Roof in 2010, updated Piping in 2013 & Fresh exterior paint in 2015 this is a perfect place to call home.